Fire is threatening Teasdale! Gabby and Ling are in the library for the opening of the Hidden Treasures exhibition. Suddenly, fire officers arrive to evacuate the building, and a theft is discovered: a priceless Viking brooch is missing. In the panic, Gabby disappears. Where is she? Who stole the treasure? Ling finds Hannah and Sean at the community centre, and the girls slip out to search for Gabby. 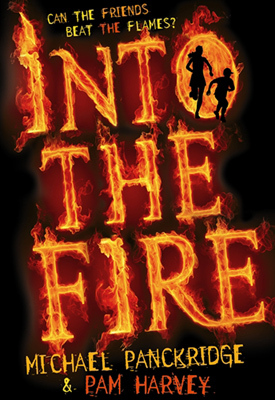 The fire reaches the racecourse while Angus and his dad are still moving the last horse to safety. They have a lucky escape, but when a horse bolts towards the mountains, Angus takes off after it. The De Lugio family are preparing to defend their home from the bushfire. When E.D. spots a distant figure among the smoke, he jumps on his quadbike and goes to investigate. With lives at stake, can the mysteries be solved before the flames take hold?